Jemez potter Marcella Yepa has handmade this redware micaceous clay jar with contemporary swirl designs. Marcella Yepa is a member of the Sun Clan and was in 1964 into the Jemez Pueblo. 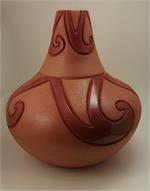 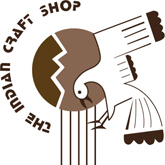 Marcella specializes in handcoiled contemporary swirl and melon style pottery. 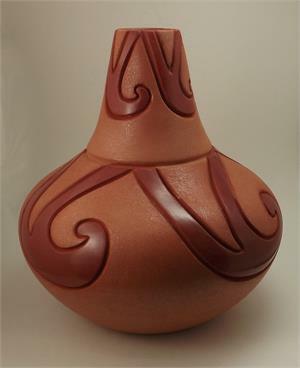 She gathers her clay and other natural pigments within the Jemez Pueblo. 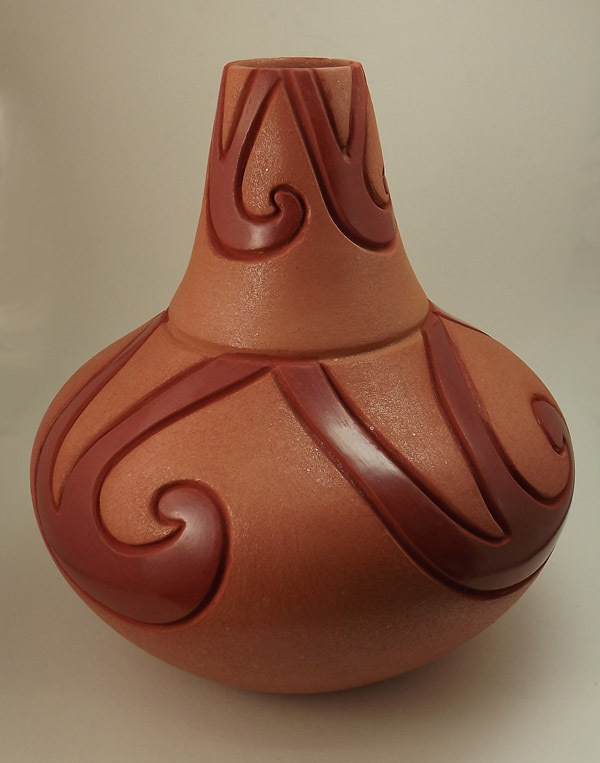 She soaks the clay, grinds it to a powder form, cleans the clay, hand mixes, hand coils, shapes and carves the clay, polishes it with a stone, and fires her pottery outdoors with cedar chips. Height: 8", Width: 7.5", Depth: 7.5"
An additional $15 shipping fee will be applied at check out and will be marked as "handling" on your receipt. This item requires specialized packaging to ensure safe delivery.